We simply propose that our social and economic ideal be that society which gives the maximum opportunity for each person in it to realize himself, to develop and use his potentialities and to labor as a human being of dignity giving to and receiving from his fellow men. The good society is, thus, the one which gives the greatest freedom to its people – freedom defined not negatively and defensively, but positively, as the opportunity to realize ever greater human values. It follows that collectivism, as in fascism and communism, is the denial of these values, and must be opposed at all costs. But we shall successfully overcome them only as we are devoted to positive ideals which are better, chiefly the building of society based on a genuine respect for persons and their freedom. 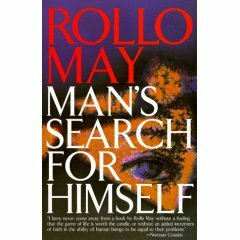 Rollo May, “Man’s Search for Himself”, (New York: Dell Publishing, 1953), p.160.